The EH team has introduced a totally new concept with the release on the market of the new Ovando. The technology is called ultra flat and it is used to make the kite generate a great amount of power. The control of the Ovando is really accurate although it maintains a permanent medium to high pressure on the bar. The Ovando is not intended for novice or beginner riders. The massive power boost and high speed it develops make it perfect for advanced and pro riders who love wave riding or freestyle. The improved design makes the Ovando fly in the lightest wind conditions and also perform great at unhooked riding or freestyle tricks. 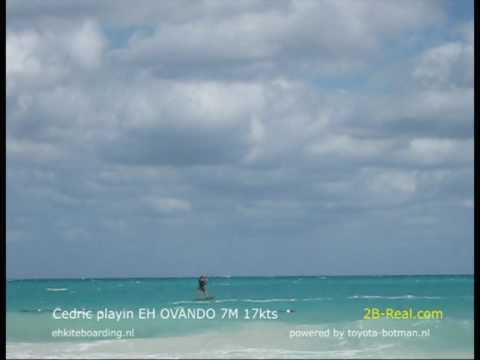 To ensure increased life time for the Ovando, EH Kiteboarding has used reinforced Teijin rip stop and double Dacron leading edge enhancement. Since it first started producing kiteboarding gear the EH team had two things in mind: performance and versatility. 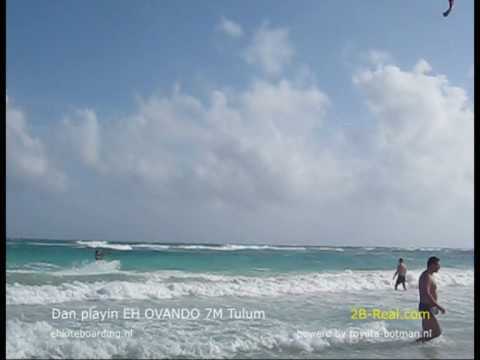 The EH Ovando delivers therefore the latest technology improvements to make any ride smooth and unforgettable. The canopy has a delta wing shape and features the Ultra Flat technology which generates additional power boosts when needed. Enhanced lifting is provided by the large flat power section of the canopy. Several features have been changed to gain additional speed and power. For instance the Ovando does not have extremely quick relaunch or huge depower, but after all it is a kite designed for pro riders. The controls are quite accurate and the kite has nice pivotal turning speeds. Direct steering response, low drag, no back stall and adjustable bar pressure are other features that make the Ovando a great choice for freestyle or unhooked wave riding.